Reacting to India's non-participation in One Belt, One Road (OBOR) initiative, China on Wednesday said the project is for the common development and prosperity of the region, adding further that the China Pakistan Economic Corridor (CPEC) does not affect Beijing's position on the Kashmir issue which the New Delhi is concerned about. 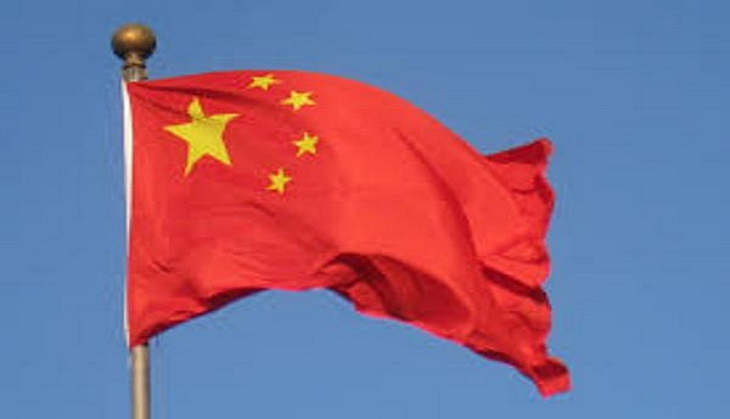 Indicating towards India's non-participation, China said all countries should respect each other's sovereignty, dignity and territorial integrity, each other's development paths and social systems, and each other's cores interests and major concerns. "The China-Pakistan Economic Corridor, as an important part of the Belt and Road, is not directed at any third parties, not relevant to disputes over territorial sovereignty and does not affect China's position on the Kashmir issue. We keep saying that the Belt and Road is an open and inclusive initiative. We welcome participation from all countries to share the development opportunities," Foreign Ministry Spokesperson Hua Chunying said. Reacting to a poser on India waiting for positive response from Chinese side for engaging in meaningful dialogues about the OBOR, Chunying said, "China's purpose is crystal-clear and on the table for all to see. The warm response the international community has been giving to China's hosting of the BRF also speaks to that. India's Foreign Ministry spokesperson said that India wants meaningful dialogues and is waiting for positive response from the Chinese side. I don't quite get it. *China's position is upright and clear. *China's attitude is honest and sincere." After making its displeasure clear over Chinese flagship project ' One Belt, One Road' (OBOR) citing that the project ignores core concerns on sovereignty and territorial integrity, New Delhi officially skipped the event honouring the project in Beijing. "We are of firm belief that connectivity initiatives must be based on universally recognised international norms, good governance, rule of law, openness, transparency and equality," Ministry of External Affairs (MEA) official spokesperson Gopal Baglay said in a press conference. "Connectivity projects must be pursued in a manner that respects sovereignty and territorial integrity," he added. Baglay said India has been urging China to engage in a meaningful dialogue on its connectivity initiative. "We are awaiting a positive response from the Chinese side," he added. India has been opposed to the inclusion of the China Pakistan Economic Corridor (CPEC) under the OBOR initiative. It's reported that a part of the project passes through the Pakistan Occupied Kashmir (PoK). The USD 51 billion CPEC project is a collection of infrastructure projects currently under construction throughout Pakistan. Several infrastructure projects would be undertaken in various provinces in Pakistan, including the Gilgit-Baltistan area, which falls in the PoK.